It is now time to reveal the results of our contest in which you could win 5 lifetime commercial licences for Mirillis Action! 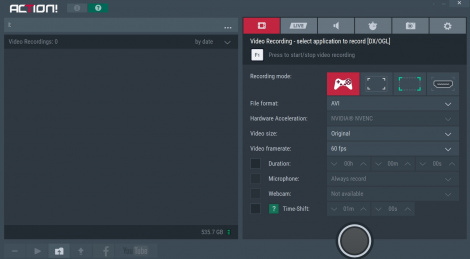 Screen Recorder. The good news is we were generously offered an additional key so we didn't have to decide between the 2 of you who finished 5th. If you want to find out if you are part of the winners, then you know what to do. Note: The winners will receive their key via PM this evening. Congratulations to all the winners, those images look great. Thanks for Mirillis for providing these keys for free in the first place and for an additional key to reward the people who tied in 5th place as well. It's very generous of them. And much love to the games themselves, most of them are great games. Gonna take this opportunity to unashamedly praise Mirillis Splash, the best video player. I use if for over 5 years now and the quality is just excellent. Can't recommend it enough. 2. Lack of support for additional Audio formats, like Dolby Digital Plus, Dolby Atmos, Dolby TrueHD, etc. for non Bitstream configurations. Yay! Thanks to Gamersyde and Mirillis.